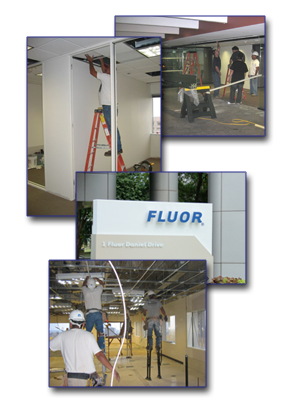 As a commercial contractor specializing in custom interior improvements, it is our commitment to provide our customers with construction solutions tailored to their planning needs. In every construction project, four major essentials are present. Given this understanding, we work diligently to offer competitive pricing, timeliness, high quality, and excellent service. Our 30 plus years of experience in the construction industry have given us many opportunities to share our abilities with an impressive list of customers. We are grateful to all of these clients and are always appreciative of their continued faith in our efforts.